Let me give an example: We have been a part of several churches in the Philippines. Most Philippine churches assign music ministry to the youth in the church— a massive mistake often. I remember at one church, they had a young lady who led music with a group of youth playing guitar and drums and keyboard. This group really liked Hillsong. Hillsong doesn’t do much for me, but music has never been part of my worship language anyway. The worship leader mimicked Hillsong videos— right down to the style of singing, and the gestures and jumps. She was mimicking the look, style, and movements of the lead singer of those Hillsong videos. But why mimic? What benefit is there in doing it? In the Animal World, mimicry done for reasons of predation as well as for defense. 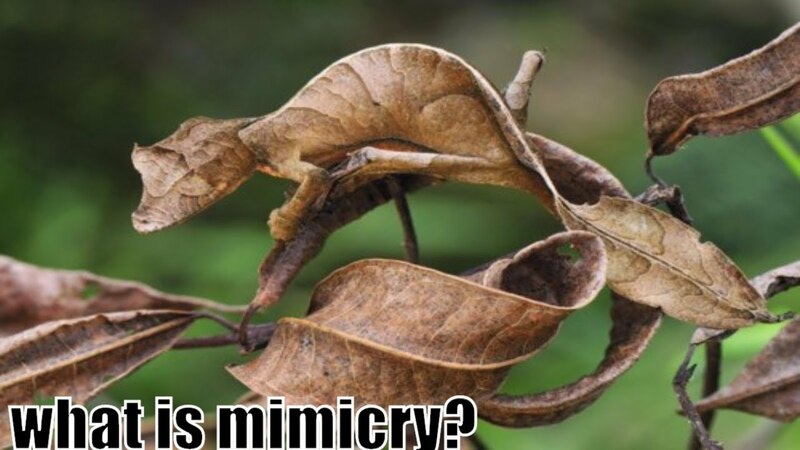 But why do Christians do mimicry? Some reasons don’t line up directly with those for the Animal World. Mimicking the looks of a poisonous animal in hopes of not being eaten by predators, does not correspond fully with human culture— but there are parallelisms. Years ago I was working at a place that has “Christian Conferences.” One time I was acting as a server for a TD Jakes conference. When he got up to speak, he started out okay I suppose. However, about 15 or 20 minutes in he started leaving behind the main message and began complimenting the women in the front and center of the tent who were jumping up and down and acting all excited when Jakes spoke. He also began to deride those in the far corners who were just sitting there ‘doing nothing.’ I find that sort of pandering pretty despicable. It was clear manipulation. It made me wonder whether his claim that God had told him to minister to women was, cynically, actually an excuse to target a group that he felt he could manipulate more easily. The curious thing was that when I went to the corners of the tent I found out he was absolutely correct. Both back corners had around 20 or 30 women who were just sitting there. Some were even knitting. It made me wonder if they were actually asked or paid to do that. After all, people don’t like to be targeted by an abusive person. Most people want to fit into a crowd and be complimented for it. Not everyone will do this of course. Years ago there was a tendency of some worship leaders to say things like, “Clap if you love Jesus! !” That would invariably make me put my hands in my pockets. Now it seems more common to say something like, “Let’s all give a clap offering to the Lord.” I will sometimes go along with that. The second is an invitation to join in an activity while the first tries shaming to control behavior. People will often mimic others in a group to avoid being targeted/shamed. We like to be liked—- at least tolerated. And everyone that I know feels that way too. We like to be liked— at least tolerated. In the next post, I will look at more agressive, or at least less passive forms of Christian mimicry.